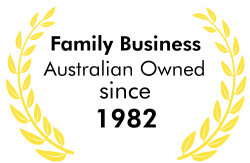 Locksmiths – Inner Suburbs Mobile Service is a well known family business that has been providing personal mobile services to Sydney’s Inner West since 1982. You only have to make a local phone call to have us arrive at your door. Our staff are all fully qualified locksmithing engineers with NSW Police Security Licences and are also registered Justices of the Peace. Locksmiths – Inner Suburbs Mobile Service is a proud member of the Locksmiths Guild of Australia and the principal is an individual member of the Master Locksmiths Association of Australasia. Qualified locksmiths providing expert personal mobile services to Sydney's Inner West since 1982. Copyright © 2016 Locksmiths R Us. All rights reserved. Sitemap.